Its the last day of Organic September but hopefully just the start of your small changes towards a more sustainable lifestyle! Your individual small change might not feel like much, but if all of us do something slightly differently, we can make a big difference to our environment. Read more about Organic Organic September in my previous blog post: ‘Small Change = Big Difference This Organic September’ and don’t forget to check out our Sustainable Living page for lots more tips! The new film More Than Honey hit the big screen in September – supported by Friends of the Earth – and it’s coming here to Dorset! The multi-award winning film tells the tale of what might happen if our bees disappeared. Oscar-nominated director Markus Imhoof investigates honeybee colonies in California, Switzerland, China and Australia. Over the past 15 years, bee colonies across the world have been decimated, giving rise to a phenomenon that scientists have coined “colony collapse disorder”. This documentary looks for possible reasons why the bees are dying out and searches for solutions from the scientific community to avert an ecological disaster. More Than Honey is a great accompaniment to Friends of the Earth’s The Bee Cause campaign. Narrated by one of my favourite actors, John Hurt, it looks at the reasons for the current bee crisis and why we rely on bees for so many things so should be a fascinating night out! This former public house dating from about 1750, Grade II Listed, has been retro-fitted with solar PV panels, internal insulation, and low energy technologies, bringing energy use down to under half an average household’s. A former police house, built in the 1950s complete with cells! 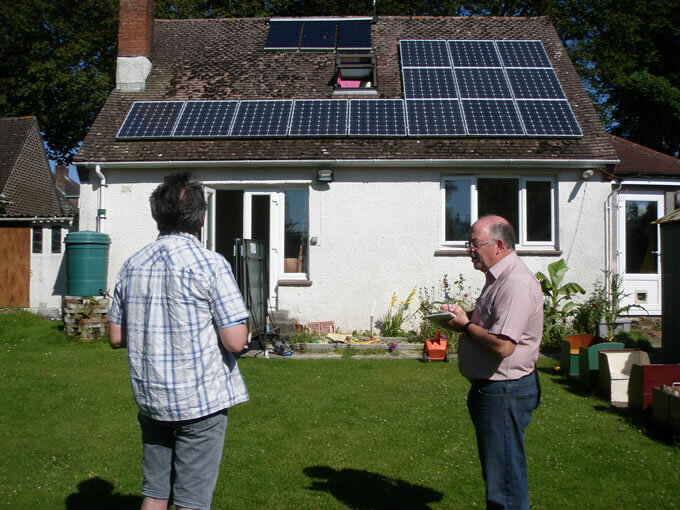 The owners were the first in their village to fit solar thermal panels, and now have solar PVs and an Air Source Heat Pump as well. A pioneering rainwater harvesting system with UV filter provides drinking water. 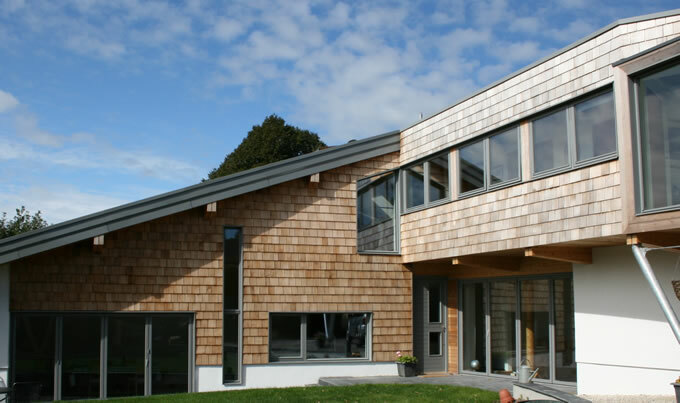 Built in 2007 to the owners’ design, this timber framed house has solar PV panels, a ground source heat pump and solar water heating. Local and recycled materials have been extensively used, and rainwater harvesting has been installed. 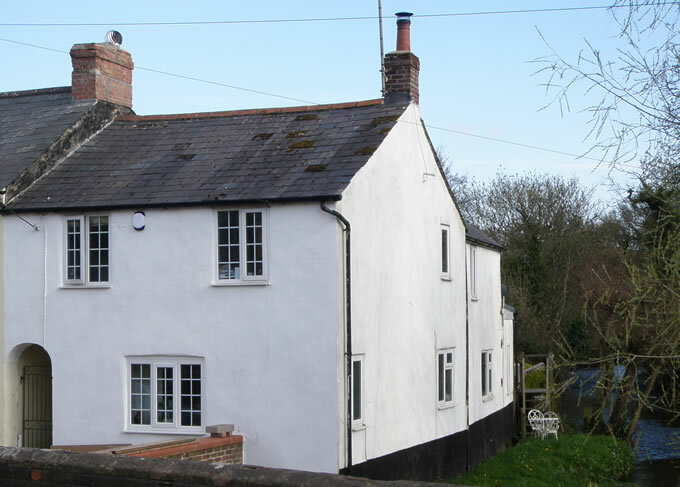 This terraced house built pre 1840 close to River Frome, had the ground floor re-planned for flood resilience, including removable flood barriers. Renovated using lime mortar, clay paint and lime render.The home is heated by an air source heat pump, wood stove and solar hot water. 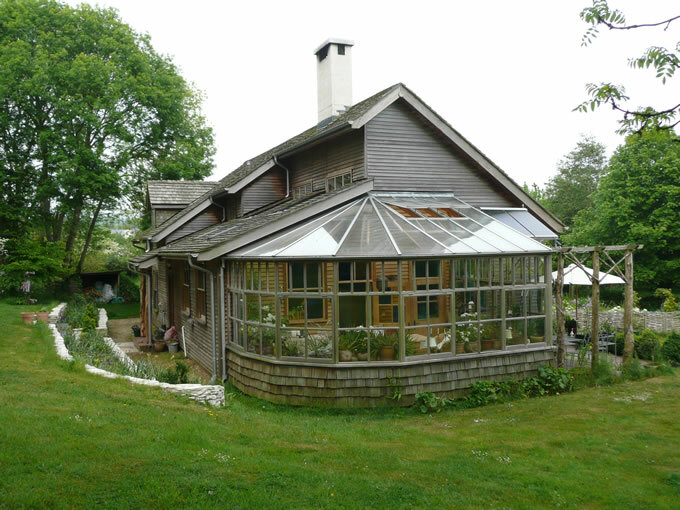 This 1940s detached house has been adapted for sustainable living with solar hot water and PV panels, poly bead cavity wall insulation, grey water recycling. They keep poultry in their backyard too. They use no car, but electric bikes and bike trailers. Garden loads by electric miniature railway. Newly built solar conservatory helps to heat the house. 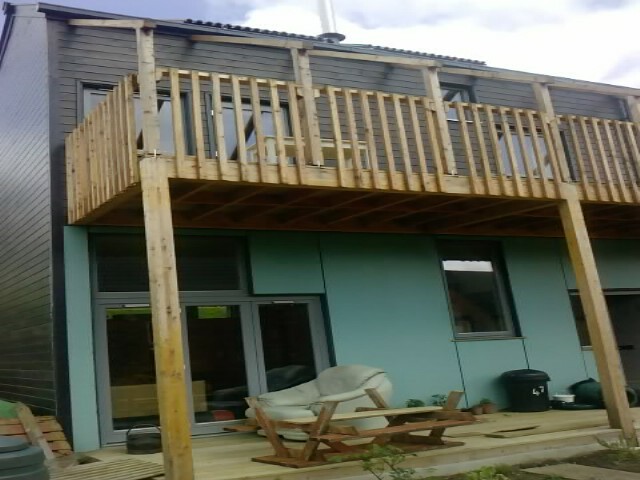 Completed in 2010, this eco-home was designed and project-managed by the owners’ son whilst he was an architectural student, and built by the family. North and west walls of rammed chalk dug on site help to keep a stable internal temperature. 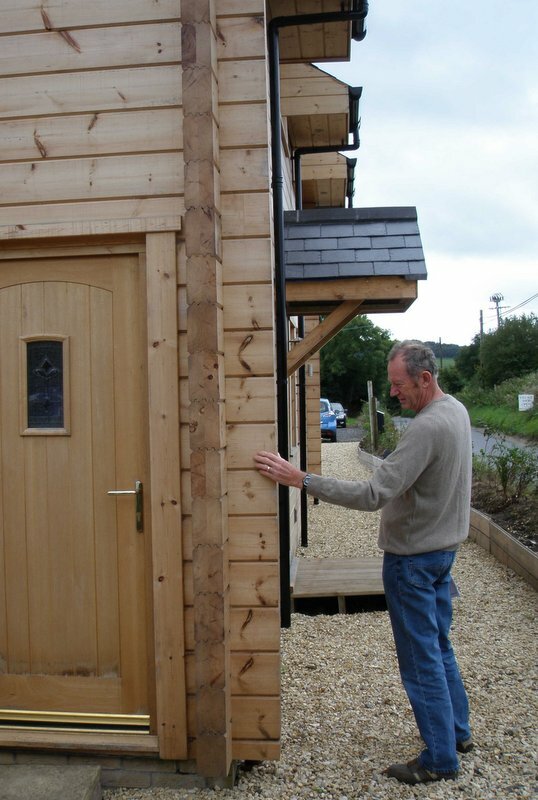 Wall and roof Insulation uses wood fibre and sheep’s wool, and lime render is used in the external finish. The house has a green roof and many other eco-features. 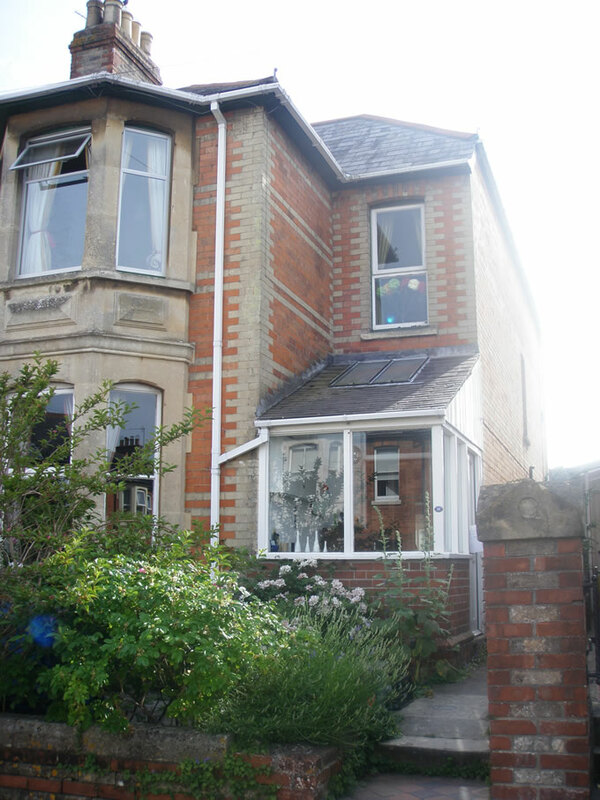 A late Victorian house in a Conservation Area. 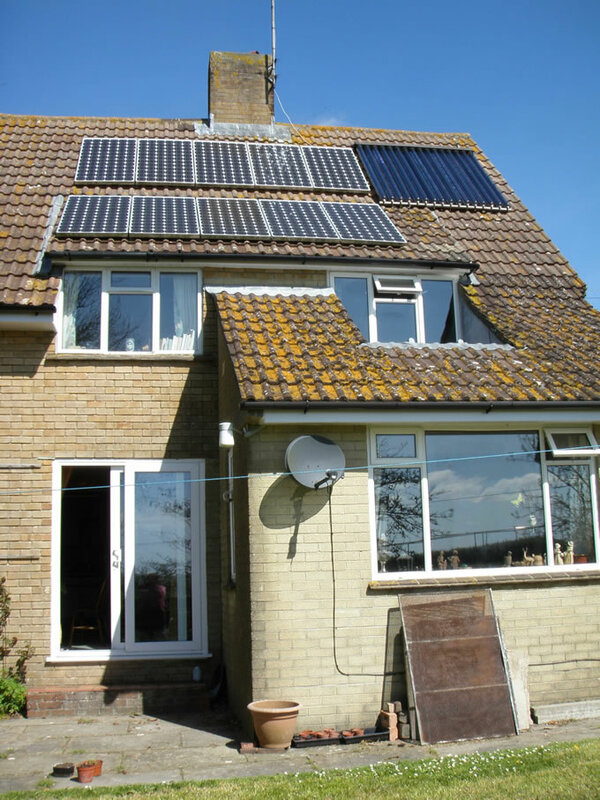 Planning limitations have ruled out some options, so the owners have fitted their solar thermal panel out of sight at the rear and their solar PV panels in the back garden. 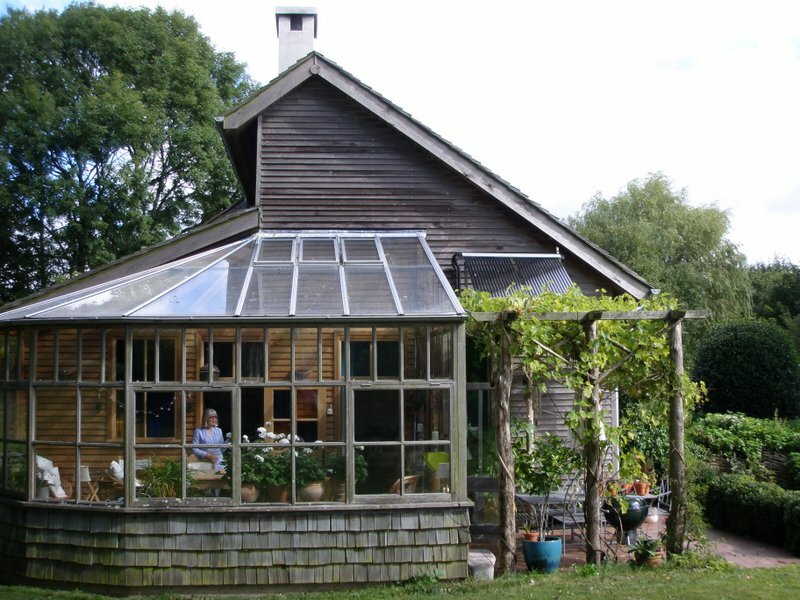 They are trialling DIY secondary double glazing as an alternative to new windows on the front of the house, grow food at Dorchester’s community farm, and are pioneering a wood recycling project. Read more about all your Renewable Energy Options or see more ideas on Saving Energy. Having grown up in Dorset, I can’t help but love its countryside. Many of my school days at Dumpton in Wimborne were spent on Dorset’s heathland, our outdoor ‘biology lab’, where I learned more about the value and the vulnerability of our local ecosystems than any classroom could offer. 25 years later it’s a pleasure to be working in Dorset on Good Energy’s solar projects. I strongly believe that Good Energy has a great opportunity to create solar farms that have a positive impact on wildlife and for local people. We want our projects to showcase how renewable energy, agriculture, biodiversity, education and the economy can work together and thrive. The obvious benefit of a solar farm is the clean energy it gives us that contributes to our national energy security. Our aim is to make sure our solar sites can be used for sheep grazing too. This means they keep an agricultural value and a grazing herd is the most practical way to manage the vegetation. The solar farms will become pasture for 25 years or longer. By over-sowing the grassland with nectar-rich wild flowers we can encourage pollinating insects, providing safe haven for our rare species of bees and provide a new foundation for the entire food chain, helping to boost biodiversity. We are also exploring the opportunity to recreate heathland at our solar farms, a habitat that has suffered through Dorset’s development. We want to use our solar projects to encourage school children to get outdoors. These sites can support so many aspects of learning including environmental, ecological, even physics and maths, inspiring kids today, just like I was a quarter of a century ago. Our projects can bring direct benefits, socially and economically to the local community and this is exactly what we are aiming to do. Like Hugo, Will grew up in Dorset and his family have lived near Dorchester for three generations. 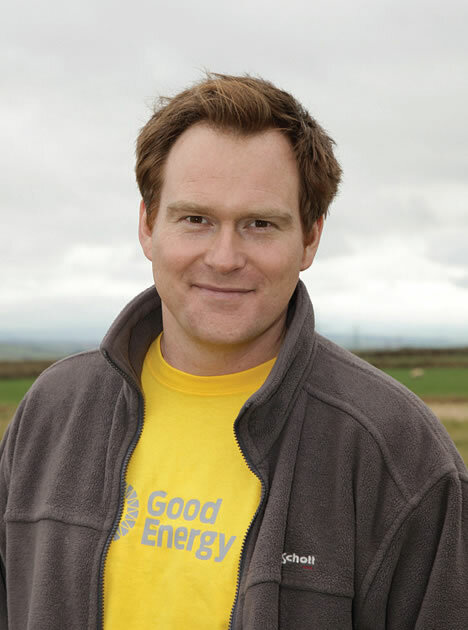 Joining Good Energy three years ago enabled Will to move out of the city and back to the countryside he loves. As Dorset Energized reported last month, shockingly, currently only 1% of Dorset’s total energy demand comes from renewables – this is a third of the UK national average so to play our part in meeting national renewable energy targets, generation needs to increase by over 15 times in just 8 years. Apparently, we have the highest number of sun hours in the country, so solar is an obvious and exciting solution for Dorset. Vince & Lin “Riding on Sunshine” in Sturminster Newton! However, after a conversation with Nick Good at NGPS Renewables I was convinced that I could seriously benefit from upgrading my set up. The results were amazing. 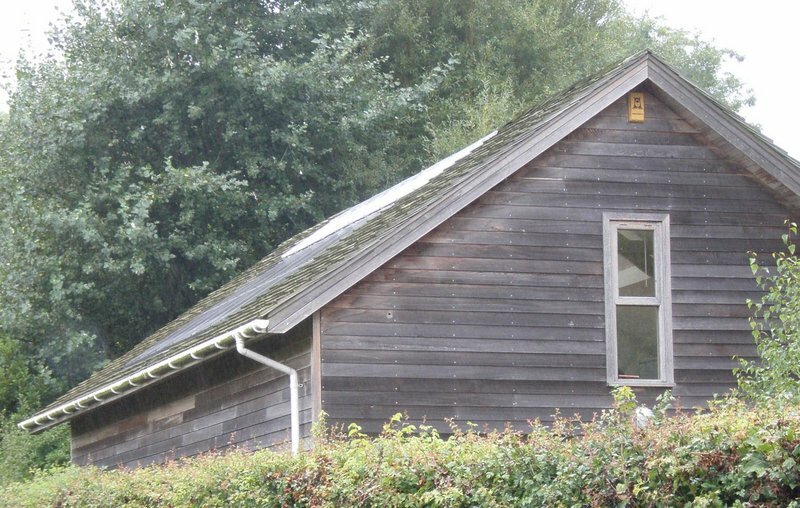 My original array was actually laid on the wooden roof beams with the tiles taken away. The first thing NGPS did was completely renew my roof with new tiling. Next I had beautiful new panels put up with individual computer terminals all connected to an internet site that monitors each one and tells me day by day what energy we are producing. I also found out that a number of my original panels were not working and thus reducing my energy output, so this is a warning to everyone to have regular checks by good installers or engineers of their solar energy systems. 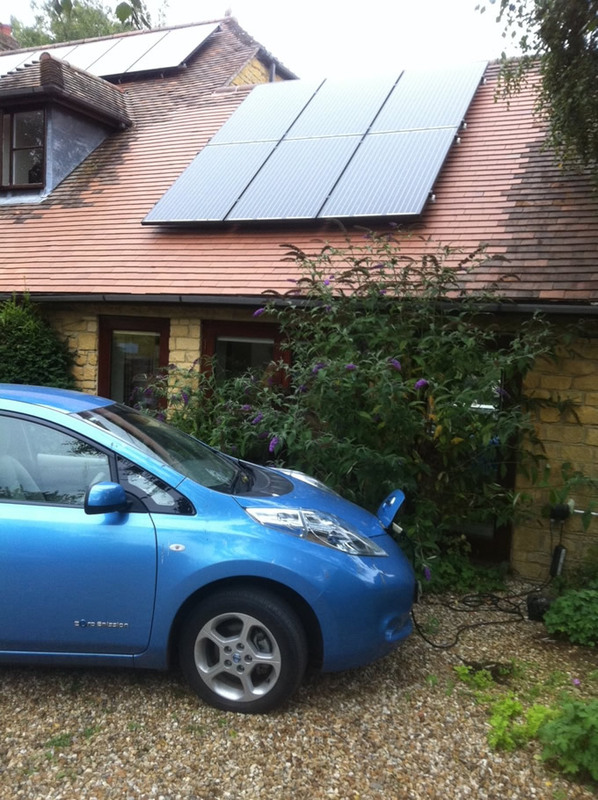 The great thing is that solar now heats our shower water for the morning and energy for my Nissan LEAF 100% electric car from FJ Chalkes in nearby Wincanton and my e-bike too – essentially making my travel now almost free of charge!!! Plus the electricity is from 100% renewable energy with Good Energy as we switched to them for our home and business supply – you can read more here. My wife calls it, “Riding on sunshine!” and that’s how it feels! 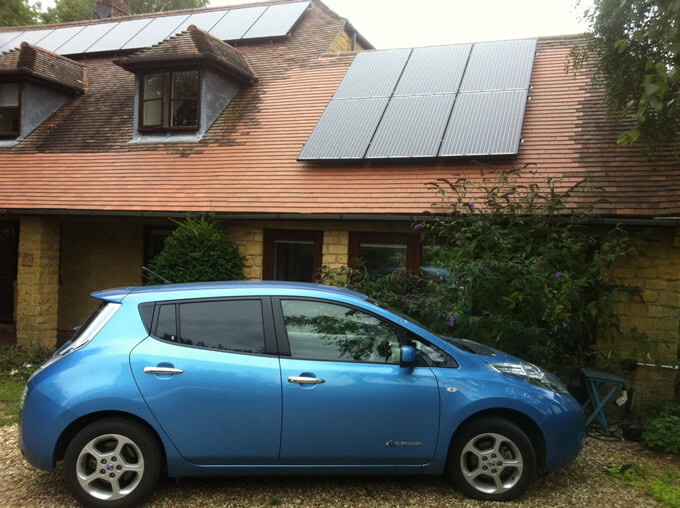 Over 800 visits were made to eco-homes that opened up to the public in Dorset over the weekend of 14th – 15th September 2013. 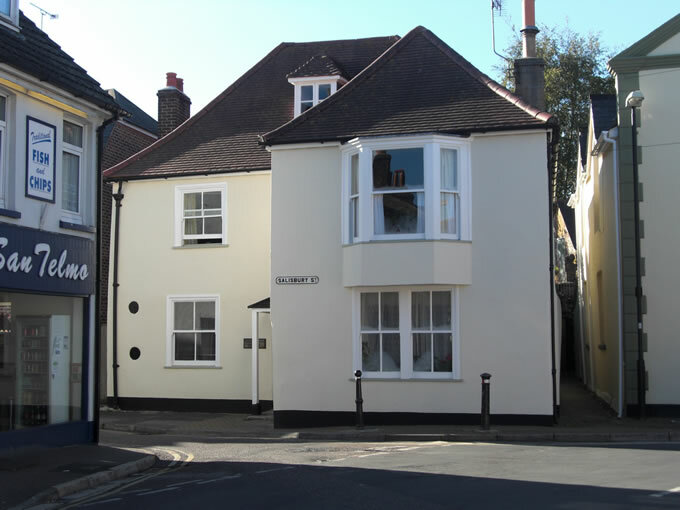 Nineteen private homes were open in a wide area centred on Dorchester and Bridport. The aim was to showcase both the buildings themselves, and the greener lifestyle being adopted by many of the householders. Low-impact building techniques that were on show included timber homes, a home extension built with load-bearing straw bale walls, and a self-built, low-cost house fitted out using many recycled materials. Householders had developed a range of skills to cut their living costs and the amount of resources used to run their homes. 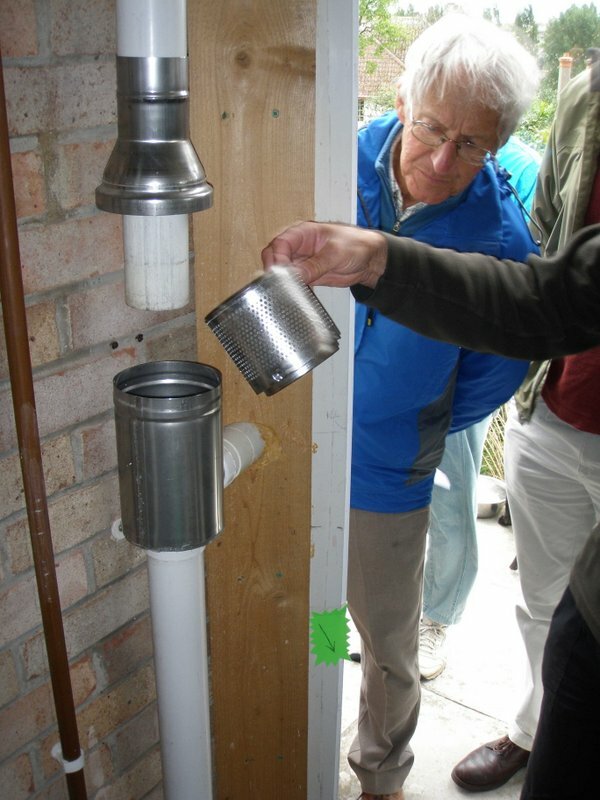 Popular approaches included rainwater harvesting, heating with wood, draught-proofing and ventilation control, and permaculture-based food production at home. 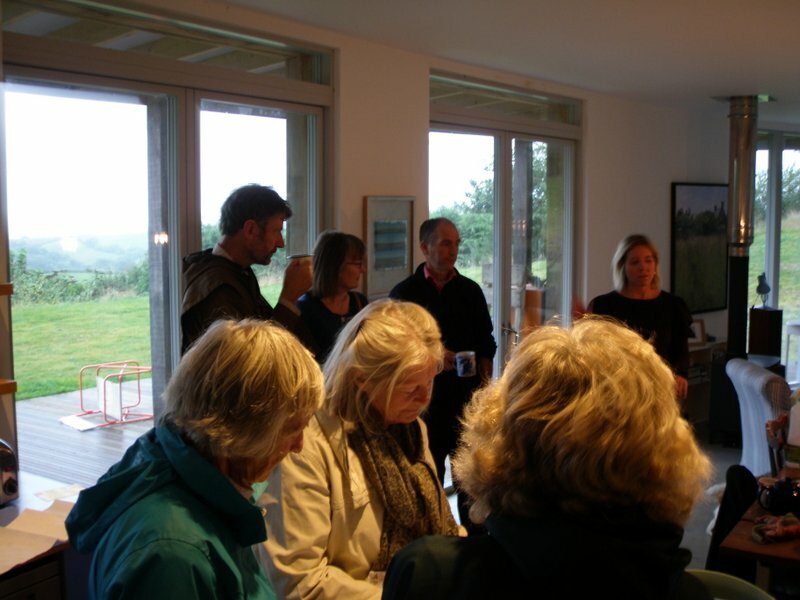 Visitor comments included “As a newbie to sustainability, it was good to hear first hand experience of what can be done – most interesting and very enjoyable visit”. 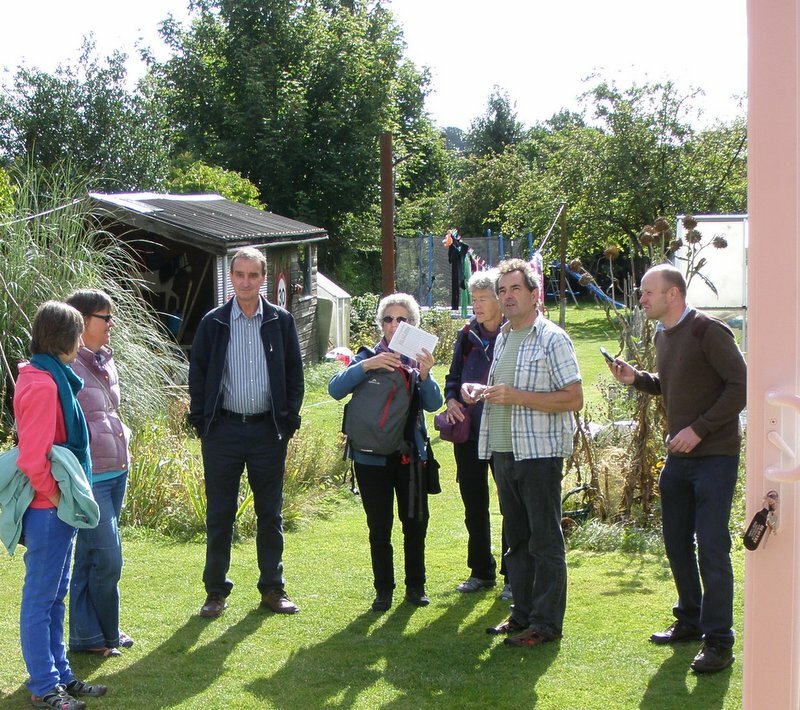 The event was organised by Dorchester’s greendor project – developed from the Transition Town’s energy group – and Transition Town Bridport, with help from Communities Living Sustainably in Dorset, funded by the Big Lottery Fund. Greendor and TTB are non-profit making community projects run by volunteers. For further information and for news of future events, see greendor.wordpress.com or contact greendor on greendor2012@gmail.com or 07794 432 297. 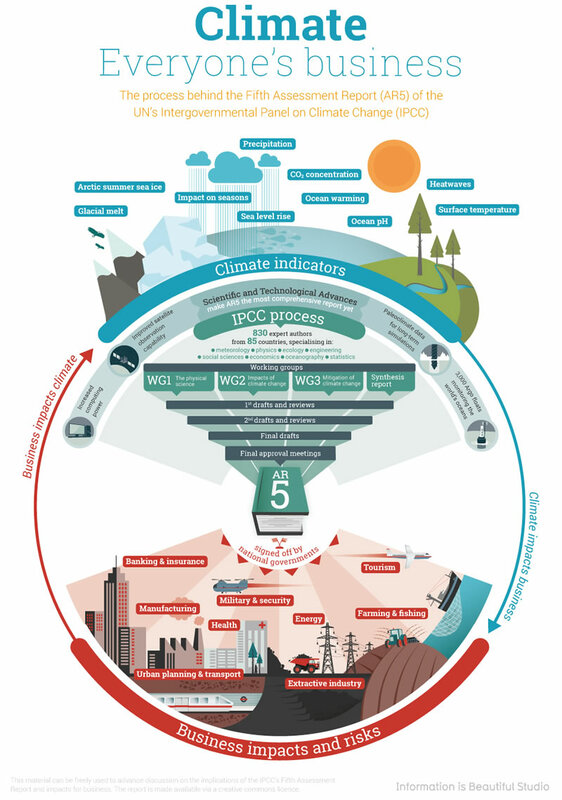 A very important new document has just been released aimed at helping a more general audience understand the Assessment Report of the UN’s Intergovernmental Panel on Climate Change (AR5). It’s the first in a series of documents that synthesize the most pertinent findings of AR for specific economic and business sectors. This new report AR5 adds thousands of new studies on the body of evidence on climate change. In total, 831 scientists from 85 countries have been directly involved in writing this new report! This makes it the most authoritative source of information on the risks posed by Climate Change and the possibilities to reduce those risks. It contains policy-relevant info that will be used by government and may affect businesses worldwide. "Thanks very much listing this documents and posting this informative infographic, the logical part of your post is this infographic http://marinatech.net/website-development-kashmir/ "
"A great resume which facilitate the comprehension of the Assessment Report 5! The next one will come out on the 30th of September. The AR5, is a fantastic piece of work which will positively bring froward and accelerate the global work on tackling Climate change and adapt to it’s consequences. WE HAVE TO SEIZE THE OPPORTUNITIES to make the transition towards low carbon community based on Renewable Energy! There is a huge green economy waiting… "
"This exciting latest document created by almost 900 of the Worlds leading scientists is a real call to action for everyone interested in the future of our planet. We can all do something to help and develop dynamic new ways of living together. " Did you notice these recent newspaper headlines? The background to these current energy and food issues remains global warming and climate change. Find out the latest scientific evidence and our county and government policies. Oliver Letwin MP, will be the keynote speaker, covering the national response to climate change. It will be a good opportunity to hear the latest government thinking, from a cabinet member and adviser to the Prime Minister. John Tomblin, co-ordinator of Weymouth Energy Advice Centre, will detail the latest scientific evidence. He has taught atmospheric chemistry to his A level students and has recently delivered presentations on climate change. 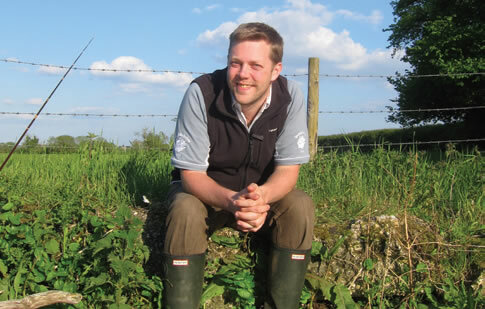 Pete West, Renewable Energy Officer for Dorset County Council, will outline Dorset’s Renewable Energy and Energy Efficiency strategies and indicate how we are managing to implement them. David Attenborough has called the threat of Climate Change the greatest challenge facing humanity. This seminar will enable you to get up to date with the latest scientific thinking and the response to this challenge, both nationally and in Dorset. As a county with a long coastline, we are particularly vulnerable to the impact of rising sea levels. We do hope that you will be able to come and join in afterwards for a locally sourced lunch. If you haven’t booked yet it may be worth double checking there are still spaces – contact jvtomblin@aol.com or 01305 832180. 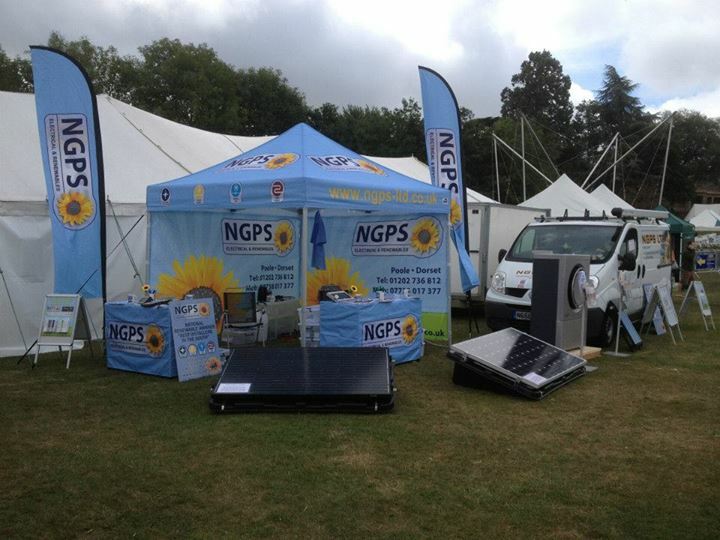 If you are worried about rising energy costs and would like free information on energy saving in association with the Dorset Green Knowledge Network, you can visit the NGPS stand as part of The Sustainability Roadshow at various events throughout Dorset. The Governments “Green Deal” initiative providing energy efficient improvements at no upfront cost. Would you like your home to be warmer and cheaper to run? 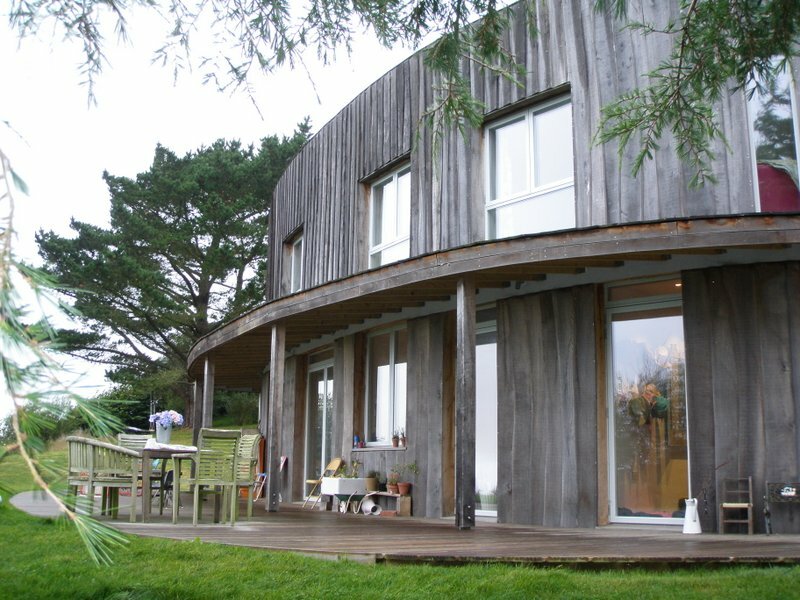 Greendor, a project of Transition Town Dorchester, has joined with Transition Town Bridport and Dorset Architectural Heritage Week to arrange for 19 eco-homes to open to the public for FREE this weekend on Saturday 14th and Sunday 15th September. and others that are traditional and conventional but have been cleverly adapted to save energy, water and waste. All the householders have tried to make their homes warm, comfortable, good to live in, cheaper to run, and kinder to the planet by saving resources and waste. 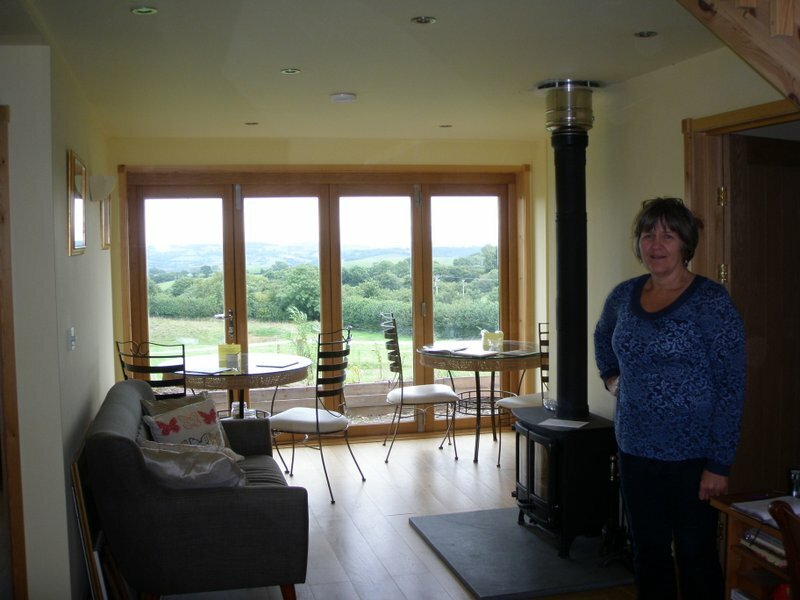 They welcome visitors and are keen to share their experience of making their homes part of a greener lifestyle. Some of the visits are open to all, and some are bookable. 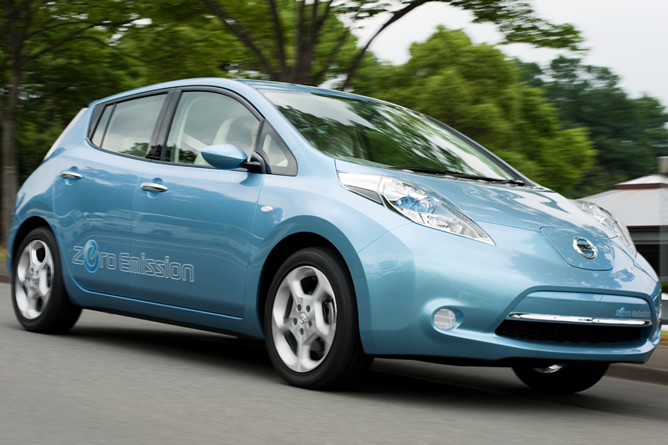 Get Mobile: Another first for the 100% electric Nissan LEAF! Great news – the Nissan LEAF is the 1st 100% electric car to join the Motability Scheme. Motability has helped over three million people get mobile by exchanging their mobility allowance to lease a car, scooter or powered wheelchair. The new UK-built Nissan LEAF is now available from just £999 Advance Payment (AP) and for £1299 AP you can upgrade to the Acenta model featuring Nissan’s CARWINGS telematics system, as well as useful features such as auto lights and wipers, cruise control and colour reversing camera. The top of the range Tekna grade is available for £1999 AP adding a BOSE energy efficient sound system, 360 degree monitor and leather heated seats. For more information on the Motability Scheme and the Nissan LEAF call me on 01963 34335 and ask for Sharon. Fracking uses between 3-8 million gallons of water per frack? As World Water Week 2013 comes to an end today, its the perfect time to look at one of many reasons why Fracking – Hydraulic Fracturing for shale gas – is causing such concern and outrage for local communities and environmental groups. Why should we be concerned about fracking? There is a substantial amount of evidence documenting the side effects of hydraulic fracturing, the majority of which are related to water contamination. Methane contamination of ground water. The toxic chemicals (and their carcinogenic properties) used in the process. Contamination of water as a result of various materials leaching out of fracked rocks into the fracking fluid. Of particular concern are toxic elements like arsenic that can be brought to the surface by this process. Radioactive Contamination. Radioactive isotopes (such as radium-226) can also be leached out of rocks the fracking fluid passes through. Biological concentration of these materials up the food chain would be the largest concern. Food supply contamination via contaminated water. The quantity of water involved in the fracking process in a climate of drought, water resource pressures and the needs of the agricultural community in Dorset. Fracking has also been linked with air pollution, due to the production of ozone and leaks of a variety of volatile chemicals. Increases in respiratory problems have already been reported around the first fracking site in the UK. Fracking has also been associated with earthquakes, most notoriously in the UK in Lancashire. Fracking also demands an industrial landscape and an increase in traffic, the infrastructure of which has its own pollution consequences. Fracking also extinguishes any opportunities to reduce greenhouse gas emissions on a county or national level. 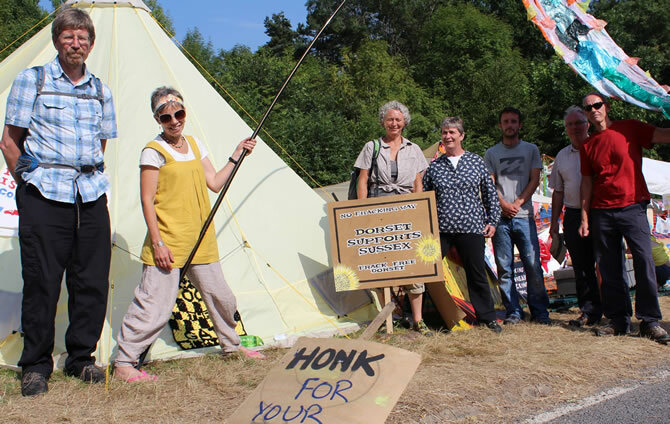 Local group Frack Free Dorset have now set up a new website where you can find out more on: http://frackfreedorset.org.uk. Check out our previous blog posts about Fracking for further reading too: www.letsgetenergized.co.uk/archives/category/fracking-2. At Dorset Energized we agree with environmental groups including Greenpeace and Friends of the Earth that the UK government should stop wasting resources on looking for unsustainable fossil fuels including by fracking, and instead simply invest more in renewable energy – and that’s something we can all do as individuals too even if its something as simple as switching to a green energy supplier (and remember the Soil Association’s moto this Organic September: Small Changes = Big Difference)! Plans for an industrial-scale wind turbine development near Tolpuddle in West Dorset are being scaled back. View from Dorchester have reported that more than a thousand people had objected to the scheme, originally for ten turbines with protestors collecting more than £12,000 to fight the proposals. Now the company behind the scheme, West Coast Energy, has said it will reduce both the size and the number of turbines being proposed. Anti wind farm campaigners say they are delighted with the move – but have pledged to fight on and stop any turbines being built at all. Their opposition continues despite a promise by the company that one of the turbines would be “owned” by the community, bringing an estimated income of up to £100,000 a year for local projects. We appreciate that wind farms are still a controversial technology and Dorset Energized believes that wind turbine proposals should always be very carefully considered on a case by case basis, particularly to make sure they will not have a detrimental impact on wildlife. However, as we reported on our blog last week (‘Good Energy plans 3 new solar farms in Dorset’), according to green energy supplier Good Energy, currently only a staggering 1% of Dorset’s total energy demand comes from renewables which is a third of the UK national average, and sadly, as we also reported last month (‘New website launched to ‘Keep On Track’ of the EU’s 2020 Renewable Energy Objectives’), the UK is also behind track to achieve our objectives in obtaining 20% of our final energy consumption from renewables by 2020 (that’s less than 7 years away), in comparison to most of our EU neighbours. So we simply have to invest in renewable technologies… TODAY! Of course wind power is just one of several renewable energy technologies. In particular, Wood Energy (Biomass), Solar Energy and green electricity supply are much more accessible and appealing to everyone. 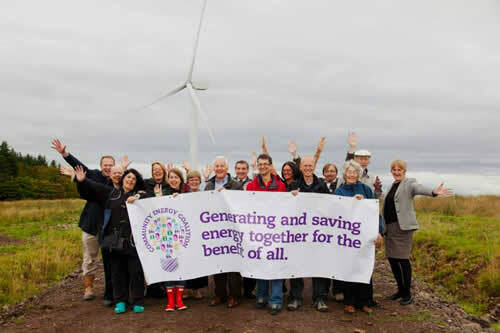 But as we are celebrating Community Energy Fortnight we do hope that anti-wind campaigners can show the same passion they have against wind farms, to support and invest in other forms of renewable energy, maybe a hydro-power project like the fabulous Bindon Mill Screw Turbine Installation near Wool. 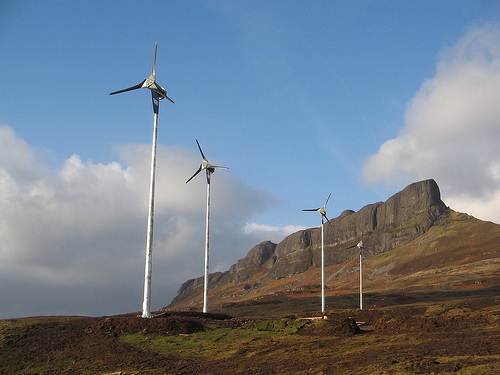 Please let us know of any community energy projects going on or being planned near you! "I fear the same reaction may be about to occur with a forthcoming wind turbine proposal at Charlton Down near Dorchester, and with a solar farm at Mapperton. Lessons we might draw (in my opinion) are  renewable energy developers need to significantly up their game in enlisting the support of local communities … what I have seen so far suggests this doesn’t seem to be a priority with some of them;  roll on the day when we have a much more active *community-based* renewables development company in Dorset, to give us more ownership, control and benefits;  many Dorset residents don’t seem to rate switching away from fossil fuels as a priority … much more work to do to explain the case, then;  however, people’s genuine concerns about renewables also need to be addressed – e.g. flicker / shadow is seen as an issue by people near existing turbines in both Germany and East Anglia – it doesn’t enhance our case as pro-RE campaigners if we dismiss people’s anxieties. " Holy Cow! Green Energy and Badger Friendly Milk?! In case you have somehow managed to miss the local and national news headlines, the UK government have given the full go ahead for a trial cull of at least 70% of the badgers living in Gloucestershire and Somerset in an attempt to test the safety, efficiency and humaneness of free shooting badgers at night (as part of a wider aim to see if culling badgers can help reduce the rates of TB in cattle), despite ignoring Scientific consensus, respected wildlife experts including Sir David Attenborough and Chris Packham, as well as overwhelming public objections (the government petition started by Dr Brian May against the badger cull is the most signed e-petition EVER and ends this Saturday 7th September 2013 and now has over 300,000 signatures). The Welsh Assembly has cancelled its own badger cull plans and opted for badger vaccination. Similar trials have already been completed and deemed ineffective in Ireland where TB in cattle is still widespread (even though badgers have virtually been eliminated there according to Animal Aid), and yet a trial badger cull still started here in the UK – in Somerset last week and in Gloucestershire earlier this week. (I won’t go into the debates over the NFU and Defra’s actions and all the political shenanigans – you’ll find plenty of that all over the papers, Facebook and Twitter if you are interested!). 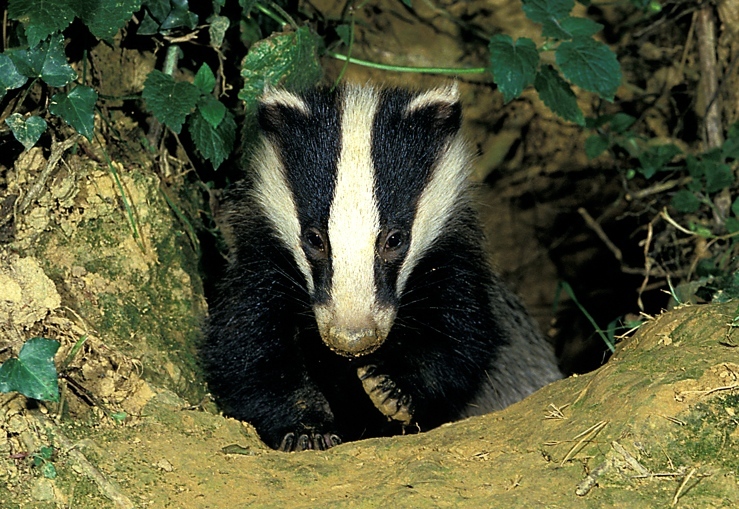 TB Free England say that a badger cull may only reduce bTB by 16% over 9.5 years for a 150sq-km culling area. Defra’s own wildlife advisory body, Natural England, who have to implement the government proposals, say they have little confidence in a badger cull delivering the predicted benefits long term. Notable scientists including Lord Krebs oppose the badger cull. After ten years of research, the Independent Study Group lead by Professor John Bourne said that badger culling can make no meaningful contribution to cattle TB control in Britain. Dorset has been marked as the ‘reserve area’ which means our badgers could be culled at any moment if things don’t work out in Gloucestershire and Somerset over the next few weeks. If the cull is then rolled out across the UK then Dorset will be the next cull zone area (unconfirmed rumours are that it will be in West Dorset and North Dorset especially likely around Beaminster). This July there was public outrage in Dorset as it was reported that Conservative Councillors hijacked a vote on the badger cull at the Dorset County Council (where as a Dorset resident I would hope they work for us on our local community issues and not just tow party lines), when DCC had the opportunity to follow the lead of other county councils such as Derbyshire who have banned badger culling on council owned land. The South West is a TB hotspot. The aim of the pilot cull is to test the free shooting of badgers at night. The pilot culls will not actually measure the impact on bovine TB. If it is deemed a ‘successful’ humane killing method then the culling of badgers will also be permitted throughout the UK. The RSPCA have said that out of the 5000 badgers to be shot in the trials only 5% will actually be tested for ‘humaneness’ – it is too expensive to test them all! Out of the badgers that do carry TB it is also estimated only a small percentage will actually be ‘infectious’ making such as a mass culling completely indiscriminate. Farming Monthly reported in July that Defra announced TB rates in cattle have actually hit their lowest levels for 6 years. Care for the Wild believes this follows new legislation brought in on January 1st 2013 to improve bTB testing and cattle movement procedures. Bovine TB is not in the top 3 causes of premature slaughtering of dairy cows – infertility, lameness and udder infections are much more rife – which along with other diseases are essentially caused by pushing cows above and beyond their natural production limit in order to squeeze more profit out of them, this in turn is as a result of struggling farmers who have been put under pressure by larger industrialised farms and by supermarkets demanding them to slash their prices. According to local group Dorset for Badger and Bovine Welfare, only 0.3% of UK cattle is slaughtered each year due to bTB. I run local voluntary community group Compassionate Dorset who believe that all animals are sentient beings that deserve respect and compassion. We sympathise with farmers and our main concern is for the welfare of farm animals (and our logo is actually of a cow! ), but we also care about our local wildlife and believe there must be a way for us all to live in harmony. We are very concerned that the inhumane method of killing in the badger culls would cause the badgers a tremendous amount of suffering (which is what is concerning the leading animal welfare charities including RSPCA, The International Humane Society and The Badger Trust), and even more alarming, that culling could actually spread TB to otherwise healthy cattle and cows if badgers start fleeing killzones, including of the free range and organic farmers that support us. There are other concerns that the trial badger culls are already opening the floodgates to animal cruelty and havoc in our countryside and communities, with shocking reports (although as far as I am aware there is no solid evidence) badgers may be being shot, gassed and setts blown up throughout the UK including in Dorset, and that farmers are using dogs to torment and kill badgers (which incidentally can cause great suffering to the dogs if bitten back by defensive badgers). Badgers are a much loved and ‘protected’ species – it is completely illegal to hurt them in any way except in the cull zones being trialled in Somerset and Gloucestershire this month. If you see a wildlife crime such as anyone hurting badgers, or find ANY dead badgers anywhere even on the roads, you should report it to the RSPCA Cruelty Line on 0300 1234 999 or even the police. There are also voluntary Wounded Badger Patrols who are peacefully and legally rescuing wounded badgers who have been shot and left to die slowly in the trial cull zones. Certainly food for thought but if you don’t want to give up dairy, or to stop supporting conscientious farmers, several supermarkets are even selling ‘Badger Friendly Milk’ by supplying milk from farms that will not allow the badger cull on their land. This includes Asda, Marks & Spencer and Waitrose. (I would personally urge people to spare a thought for our cows too and only ever buy free-range and/or organic dairy and meat, especially this Organic September). 1 badger vaccine costs just £5. Please consider texting BADG13 £5 to 70070 or go online to donate to the Dorset Wildlife Trust Badger Vaccination Appeal. Dorset for Badger and Bovine Welfare are also working hard to support other voluntary badger vaccination schemes in the hope of offering them for free to farmers who pledge not to cull on their land. The government and the NFU may well be doing a dis-service to our struggling farmers with all the public outcry and negative press they are receiving, and by acting irrationally just to be seen to “be doing something”, but it would be sad to see this issue turning into ‘us v them’ (the ‘public v the farmer’) with such an emotive issue such as killing our beloved badgers. But please remember that farmers exist to provide us as consumers with our food and they need us to support British farming. Some people are saying that if you eat cows or drink their milk you might as well be holding a gun, and there is a small number of people who would happily see us boycott British farms altogether over the badger cull issue, but although I choose to be vegan myself, I would personally hate to see that happen. Whatever your views are on eating meat/dairy or the badger cull, Britain still has higher farm animal welfare standards than many countries. We have a long way to go (according to Compassion in World Farming 2 out of 3 farms are still factory farmed worldwide) and there is simply no excuse for factory farming in this day and age (for many reasons I won’t go into now but you can read previous blog posts on Sustainable Farming), but please support British free-range, high welfare and organic farms, and of course badger friendly farms. For those farmers pro cull, sitting on the fence or those who have no care for badgers, I personally do hope they will see sense and at least postpone signing up to allow a badger cull on their land, and instead opt for badger vaccination and take much stronger bio-security measures and restricted cattle movements, otherwise they may well find themselves under more threat of TB than they are now, and they certainly won’t win over the hearts and minds of their customers. (Please note that any opinions here are my own as a Dorset resident and speaking on behalf of the reported 70%+ UK people who do not want the badger cull and who instead support vaccination and better farming as humane and more sensible solutions to bovine TB). "I am not quite sure what “ringstead bay” finds to get so upset about. The author quite clearly states her interest which is far more than one gets when reading DEFRA, the NFU or government articles on the subject. I came to the subject of the badger cull with a completely open mind. I have a background in science so I began by reading the science. I do not mean the pseudo-science as reported in the newspapers. If you believe the newspapers you live in cloud cuckoo land although the Guardian does a very good job. I read Professor John Krebbs report into the disasterous gassing cull of 1975-1982, his report on the interim culls and then Professor John Bourne’s report on the ten year Independent Study Group trial. I have also read the follow up work carried out by Professor Cristl Donnelly and, most importantly, what really happened in Ireland, New Zealand, Switzerland and several other countries. After all this I have come to two conclusions. Firstly, this cull is crazy, unscientific and not justifiable. Secondly, government ministers, DEFRA and the NFU tell the public only what they want them to hear. In my opinion they lie by omission. Hence the oath in Courts of Law “the Truth, the WHOLE Truth and Nothing but the Truth”. "Hi ‘Rinstead Bay’, I am extremely sorry to hear you think this as I have been very careful to only use information sourced from the leading animal/wildlife welfare charities and TB info websites, and aimed not to be biased although obviously I am clearly writing as anti badger cull / pro vaccination, and I am very concerned about a cull coming to Dorset as the overwhelming information from respected sources is that there is a threat it could actually make things worse. I want sensible long term solutions not an unrealistic quick fix that the majority of experts say won’t work – even Defra’s own wildlife advisory body, Natural England, who have to implement the government’s plans, have publically said they have little confidence in a badger cull delivering the predicted benefits. If there is anything you think incorrect please tell me specifically so I can check the facts for you although there is a lot of misinformation out there which is why farmers are confused and the last thing I want to do is add to that. However please note I have specified that this is a personal blog post written by me as an individual open to comments and I have linked to many websites where you can find out unbiased information. I also agree that the Dorset Wildlife Trust probably offer the least biased and very valuable information, hence why I have linked to them too and am asking people to support their vaccination appeal. " "Thank you for your comments Alex and Rainbow. In reply to Alex, no one ‘official’ except willing volunteers will be doing random checks of badger roadkill but the Badger Trust and RSPCA are asking the public to report all dead badgers they find as it is possible many farmers will dump badgers they have killed so they are not on their land. The RSPCA have also said only 5% of the planned 5000 badgers shot in the cullzones will be even tested for bTB – its too expensive, one of many reasons people are so outraged. " "Quite frankly the most biased; ill-informed; unfactual piece I have read on this subject…. total and utter propoganda that does no credit to groups such as Dorset Wildlife Trust who offer balanced; informed and well reasoned arguments "
"A very well written account of the facts about all this! I would hope a lot of people.. not just in Dorset.. would actually take the time to read this properly. I also have been seeing a lot of badger ‘roadkill’ or not.. seeing 3 along the B3066 within 1 mile of each other is unusual but impossible to stop to investigate as in dangerous parts of the road! Well done Lush too.. being an ex employee of theirs I applaude their stance not only on this cull but other animal and nature welfare matters. " "I am seeing a sudden upsurge in ‘road killed’ Badgers over the past few days, here in Somerset.What’s to say farmers aren’t ‘taking things into their own hands’ and killing badgers then dumping at night as ‘road kill’? will anyone be out doing random checks on this such as Environment Agency? " We are loving the Soil Association’s animation (above) which celebrates this year’s Organic September! Organic September is the UK’s biggest celebration of all things organic. This year they are asking everyone to make a Small Change in their everyday lives, in order to make a Big Difference to our food and farming. Dorset Energized, which is supported by Respect Organics who are based in Sturminster Newton and are the UK’s leading organic cake producers, believe if we all make a small and achievable change in September and beyond, collectively we can make a big difference. By choosing organic we can all support a kinder, greener and better food system – from more bees and hedgerows, better animal welfare, and shorter more trustworthy food chains. This can be achieved by doing simple, every day changes such as switching your milk to organic or choosing organic moisturiser. And check out our pages on Energy Efficiency and Sustainable Living for Dorset Energized’s ideas on other simple changes you can make this month to save energy and to live a more sustainable life in balance with nature. This week is World Water Week (from 1st to 6th September 2013) so a rather apt opportunity for us all to think about the way we use and overuse water! According to the humanitarian charity Water Aid there is a global water crisis, as every minute, every day, people in poorer countries suffer and lives are lost needlessly, simply because of a lack of safe water and sanitation. In stark contrast here in the UK, the vast amount of water we all use every day at home alone is simply putting an unsustainable demand on our planet’s resources, biodiversity and people, so we need to save water and recycle it where we can. The average person in the UK uses 150 litres of water a day! World Water Week is hosted and organised by the Stockholm International Water Institute (SIWI) and takes place each year in Stockholm. The World Water Week has been the annual focal point for the globe’s water issues since 1991. Every year, over 200 collaborating organisations convene events at the World Water Week. In addition, individuals from around the globe present their findings at the scientific workshops. The World Wildlife Fund (WWF) is one of their supporters and has lots of information on their website on how you can save water and on their campaign to reduce the impact of humanity’s water footprint. There are lots of small things you can do every day to reduce your water usage that can make a huge difference for our planet – from something as simple as turning the tap off while you brush your teeth, to installing a Hippo in your cistern… Check out Waterwise’s Quick Tips and Facts on Saving Water. It takes 10,000 – 20,000 litres of water to produce just 1kg of beef! This compares with around 1,200 litres for 1kg of maize and 1800 for a kilo of wheat. See more on the RAW website. Hydro-electric power, which comes from using water to turn a turbine, supplies around 20% of the world’s electricity and yet it is barely being used at all in the UK even though we have one of the highest wave energy potentials in Europe, if not the world! 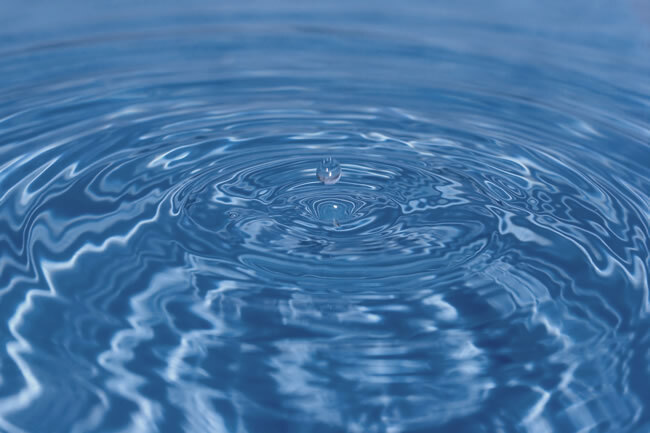 For information on how we can use water as a renewable energy source to make hydro-electricity, here in Dorset and the UK, see our section all about Water Power. "Thanks for your comment Len – very good point and great to see Frack Free Dorset has a new website, good luck with all your campaigning. " "The perfect week to remind ourselves about hydraulic fracturing for shale gas. Fracking uses between 3 and 8 million gallons of water per frack, the water is so toxic with chemicals and radioactive particles it cannot be recycled and when the well leaks as all wells do eventually the water table will also be contaminated. Find out more at http://frackfreedorset.org.uk "
(Look out for Dorset Energized’s friends Compassionate Dorset while you are there too, as they are having a stall for Compassion in World Farming where you can find out how to eat more sustainably for animals, people and the planet by eating less meat and supporting local free-range organic farmers).